An accessible yet scientifically challenging account of the ecological and human health impacts of pollutants. 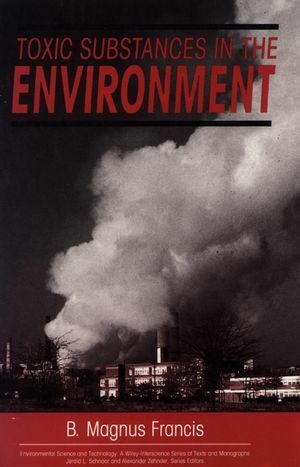 Uses authentic examples of well-known environmental problems such as Chernobyl, Love Canal and asbestos contamination to illustrate the principles and practice of environmental toxicology. A unique chapter on policy includes a list of major public and civic environmental action groups. B. Magnus Francis is the author of Toxic Substances in the Environment, published by Wiley. Air Pollution and Global Ecosystems. Terrestrial and Health Effects of Air Pollution. Water Pollution, Persistence, and Bioaccumulation. Health Effects of Environmental Chemicals.